Bearing in mind that healthcare literature has always created a sterile and cold impression with its matter-of-fact presentation, we strove to shine a different light on this project. 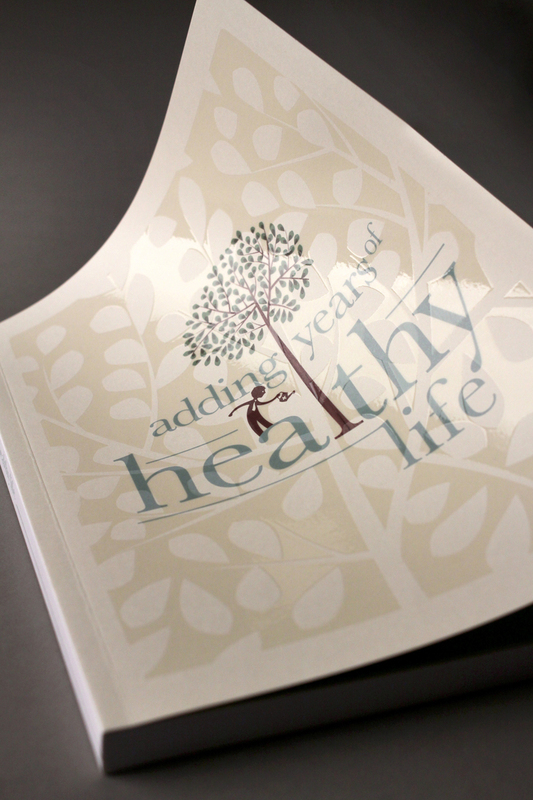 Having like-minded clients greatly granted us creative freedom to bend the standards that defined conventional healthcare books and made it possible to put forth our own extraordinary book. Imagine a tiny sprout blooming into proud magnificence, pumping with life from its roots to the very tip of its leaves. Adding years to a healthy life is to achieve constant and sustainable growth, just as a tree.